Wednesday, February 1 (11:30-12:30pm) Online Webinar: Live Demo of the Personal Planning Registry. Register Online. Wednesday, February 8 (11:30-12:30pm) Online Webinar: Planning for Health and Personal Care. Register Online. Wednesday, February 22 (11:30-12:30pm) Online Webinar: Planning for Financial and Legal Matters. Register Online. February 3-5 (Various Times) In the wake of tragedy: acting together against Islamophobia includes Vancouver and Victoria in a list of more than 30 communities taking part in vigils to mourn the loss of life that resulted from this act of terrorism. Wednesday, February 8 (5:00-7:00pm) 2228 Oak Bay Ave, Victoria: Victoria meet-up at the Penny Farthing – Come meet Micheal and Paul, discuss current civil liberties and human rights issues, and find out if you might like to get more involved! RSVP so we know how many snacks to order. Thursday, February 16 (7:00-8:30pm) Alice McKay Room, Lower Level, Vancouver Public Library – 350 W Georgia St, Vancouver: Panel – Protecting the Right to Protest: Free Speech versus Corporate Power – The aim of this roundtable discussion is to explore how we can mobilize the media to, among other issues, educate the public for the need to reform the courts to regain citizen rights to free speech and the right to dissent. Monday, February 6 (7:00-9:00pm): Access Pro Bono and MOSAIC present Free Legal Clinic for Low-Income Temporary Foreign Workers, at 5902 Kingsway in Burnaby. 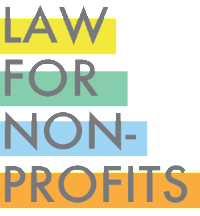 Pro Bono lawyers provide a 30-minute free legal consultation on issues related to TFWs on Immigration, Employment, Human Rights & Privacy, Admin-General and Civil Procedure. This service is for low-income migrant workers including: Low-Skilled Workers, Persons under the Live-in Caregiver Program, Agricultural Workers, etc. All clients should book an appointment at least a week before the target Clinic date. Book an appointment with the organizer. Monday, February 6 (7:00-8:30pm) Burnaby Public Library – 6100 Willingdon Avenue: Family Law – Child Access and Custody – Contact 604-436-5400 to register. Tuesday, February 7 (12:00-1:00pm) 900 Howe Street, Vancouver: Currency Fraud – Register Online. Wednesday, February 8 (7:00-8:30pm) Burnaby Public Library – 7311 Kingsway: Powers of Attorney, Joint Bank Accounts and Representation Agreements – Contact 604-683-4574 to register. Tuesday, February 7 (10:00-12:00pm) BC Centre for Elder Advocacy and Support is holding a workshop at 13455 – 76 Avenue, Surrey: Government Benefits for Older Adults Workshop – Contact 604-507-6060 to register. Tuesday, February 14 (10:30am-onwards): Battered Women Support Services is helping promote the 27th Annual Women’s Memorial March at the Carnegie Community Centre Theatre in Vancouver, Coast Salish Territories. This event is organized by the February 14th Women’s Memorial March committee. Attend and spread the word. Wednesday, February 15 (1:30-3:00pm) Barclay Manor, 1447 Barclay Street, Vancouver: Elder Mediation: Maintain Your Voice and Your Choice – Contact 604-669-5051 to register. Friday, February 17 (1:00-3:00pm) South Granville Seniors Centre, 1420 West 12th Ave, Vancouver: Collaborative Gaming for Seniors and Families – Drop-in. 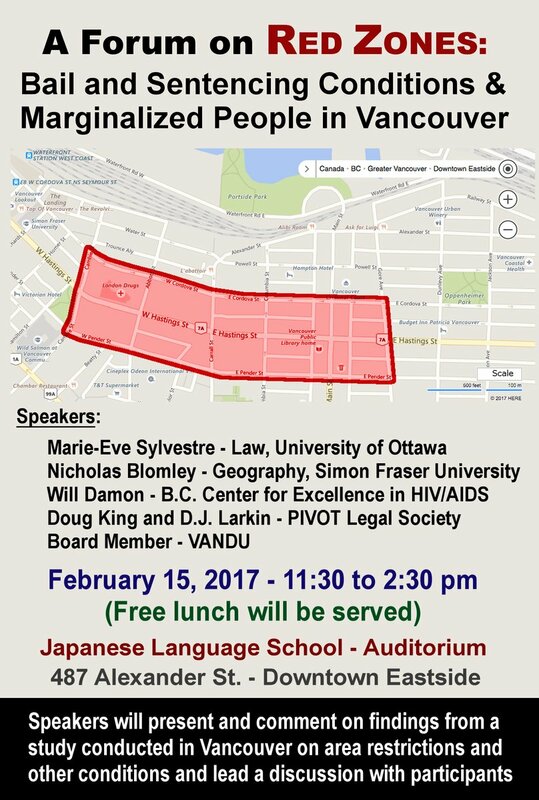 Wednesday, February 15 (11:30-2:30pm): Pivot Legal Society presents A Forum on Red Zones: Bail and Sentencing Conditions & Marginalized People in Vancouver at the Japanese Language School Auditorium, 487 Alexander Street, Vancouver in the DTES. Speakers will present and comment on findings from a study conducted in Vancouver on area restrictions and other conditions and lead a discussion with participants. Free lunch will be served. 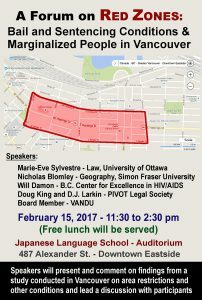 Friday, February 17 (9:30-12pm): Pacific Legal Education Outreach Society (PLEO) presents The New Societies Act: What You Need to Know, at 100-938 Howe Street in Vancouver. 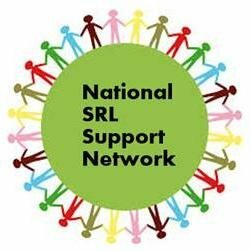 Monday, February 20 (6:00-8:00pm): National Self-Represented-Litigants Support Network meets in Vancouver. The group offers free support for individuals going through the difficult experience of representing themselves in family or civil court. Held at the Westcoast Child Care Resource Centre at 2772 East Broadway, Vancouver. Free Parking available. RSVP to NSSN.vancouver@gmail.com. The report outlines how data culled from vehicle telematics and infotainment systems can be used for safety, monitoring, customer relationship management etc. Yet some data harvested from cars can also be used to track and profile customers for marketing and other purposes. This 2016 edition is an introductory guide to help you with planning, implementing, and developing a small business. It provides essential information you need to know as well as links to additional resources to help ensure that your new business is successful. The videos from CPABC’s legal workshops include topics such as workplace discrimination, victims of crime, and rights for youth in transition. Have you received a decision from the BC government or a tribunal (decision maker) that you think is seriously flawed or unfair? After you have gone through all your appeal options within the system, you may be able to ask a judge to review the decision. CLAS has a guide for people who are representing themselves in a judicial review. We have now updated and modified this guide into a web-based form where users can navigate through the judicial review process for their selected tribunal. This website gives an overview of options that people have, step-by-step information about filing court documents, and templates that people can use when self-representing in Court. The website also allows people to get in touch with CLAS lawyers to ask for information and advice about their situation. As of September 2016, Disability Alliance BC has fully updated their Help Sheet series to reflect the changes to the PWD benefit, including a rate increase and changes to the BC Bus Pass Program. Emily’s Choice uses storytelling and images to describe child protection. Co-produced with the Healthy Aboriginal Network, the video and graphic novel tell the story of Emily, who struggles with addiction and an unhealthy relationship. She loves her son, Greg, but can’t always take care of him. When he goes into foster care, she gets legal help and family support to get him back. The webpage provides links to the video, trailer, online version of the graphic novel, ordering information, who can help, and promotional material. The Factum is a Legal Services Society blog about the law in British Columbia and how people can navigate the legal system. While it talks a bit about all aspects of the law, it focuses mainly on how the legal system affects people who can’t afford a lawyer. This webinar focused on the recent changes to the strata dispute process brought about in the Civil Resolution Tribunal Amendment Act and served as an introduction to the CRT’s resolution services (including guides, videos and sample document templates) and their Solution Explorer software tool.